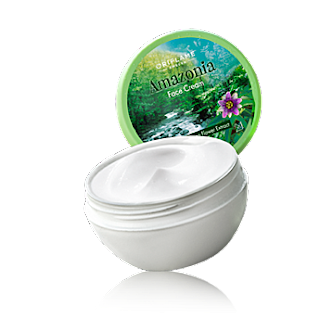 Lightweight and fast absorbing, Amazonia Face Cream ensures your skin is soothed and hydrated. With UV filters to help protect your skin from sun damage. Enriched with Passion Flower extract to replenish stressed skin and leave it moisturised, radiant and refreshed. 75 ml.